For the last 20 years, the Internet Archive has been bringing back an enormous amount of previously thought lost data from the realm of the Web and Internet. In the last 10 years, it has moved into all sorts of realms of media, including books, movies, music, software, and datasets. With nearly 50 petabytes of data at our disposal, the days of just casual browsing and assuming it'll all work out is rapidly coming to a close. What is happening, instead, are a whole range of projects and approaches to this massive corpus that indicate where things are going, and it's going to get spectacular and weird. Jason Scott, Free-Range Archivist at the Internet Archive will take you on a very strange guided tour of a future he calls The Blorb. Jason Scott is the Free-Range Archivist and Software Curator at the Internet Archive (also known as the Wayback Machine) in San Francisco, California, USA. He is one of the organizers of The Emularity, an in-browser framework for playing emulators that the Archive uses to provide tens of thousands of programs to users. 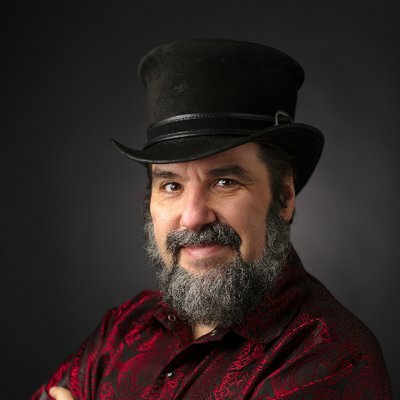 He is also the founder of TEXTFILES.COM, a 20-year project of assembling textfiles from the dial-up era, and a co-founder of ARCHIVE TEAM, a volunteer coalition of programmers and loudmouths who mirror websites before self-imposed destruction.